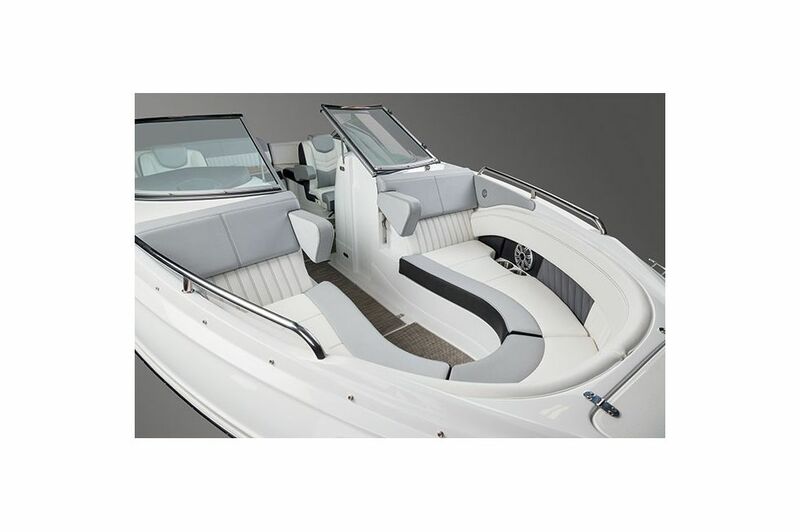 The 238 Bow Rider features a spacious cockpit, allowing the crew to relax comfortably with the captain. 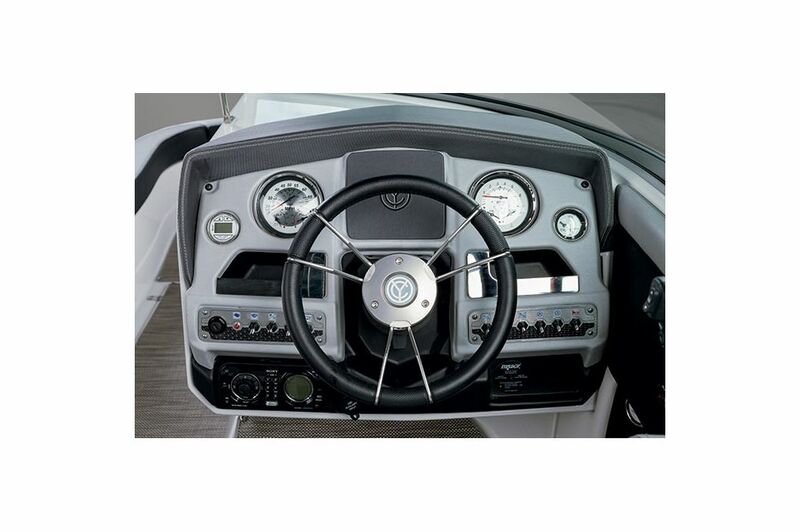 The 238 Bow Rider features an ergonomic helm that is designed to place everything within reach. 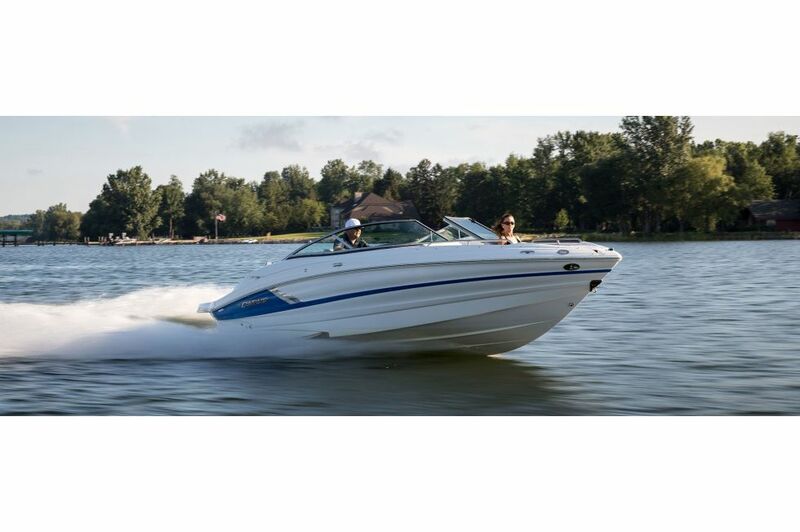 Whether you're towing skiers or out for a pleasure cruise, the 238 Bow Rider puts you in control. 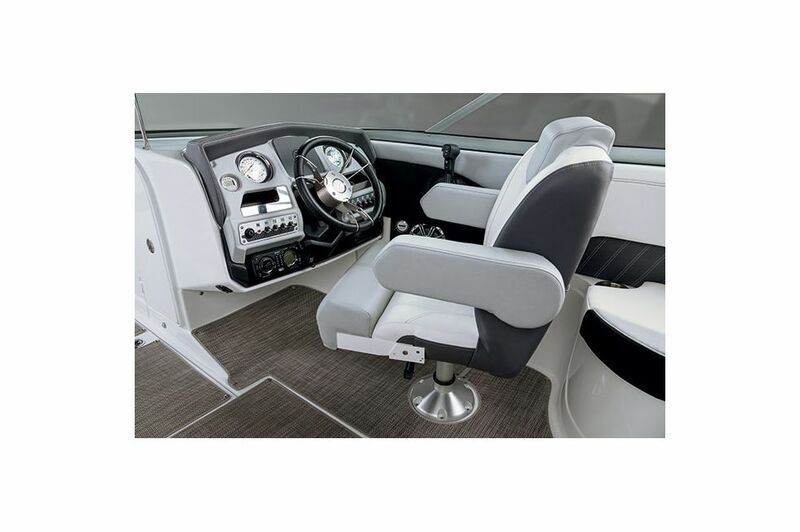 Manage the controls while enjoying the party with the 238 Bow Rider's pivoting helm seat. 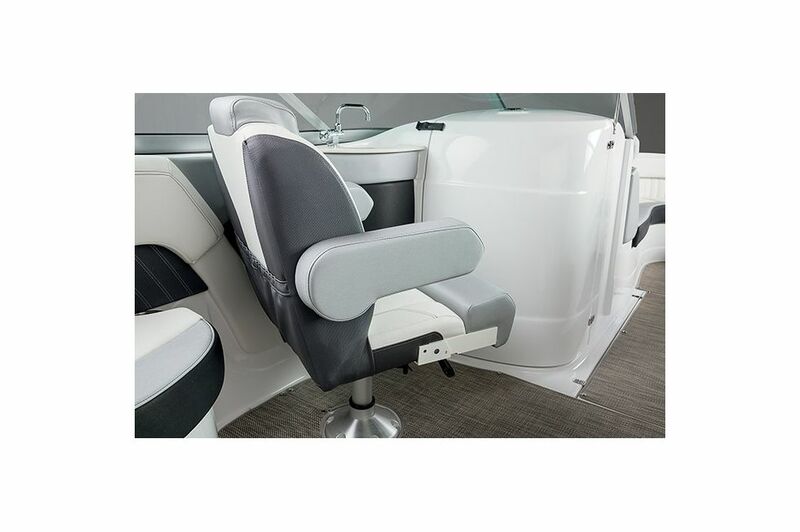 Comfortably spend time with both the captain or take over spotter duty with the 238 Bow Rider's convenient pivoting companion seat. 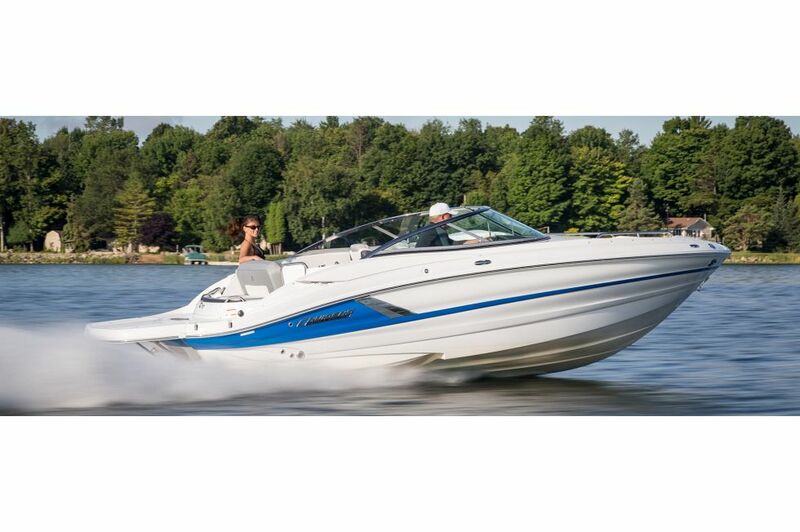 Socialize comfortably thanks to the 238 Bow Rider's spacious deep bow seating. 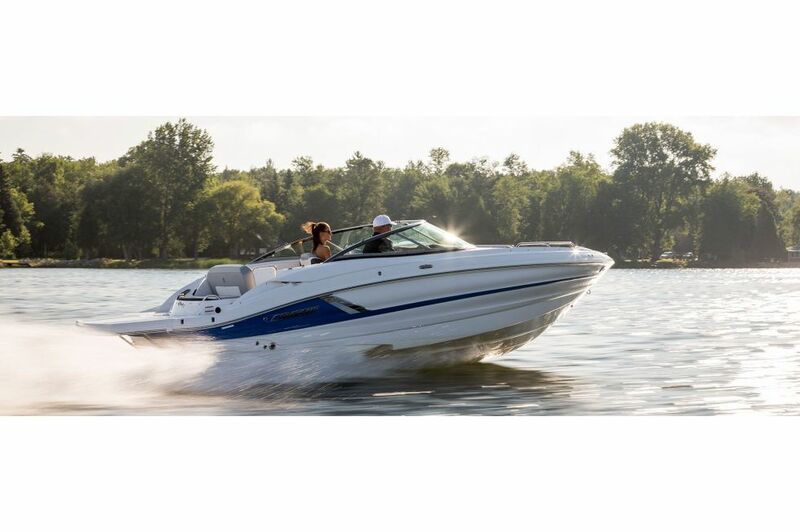 Unique for a 23 footer, the 238 Bow Rider features a built-in head, allowing boaters to spend the entire day on the water. 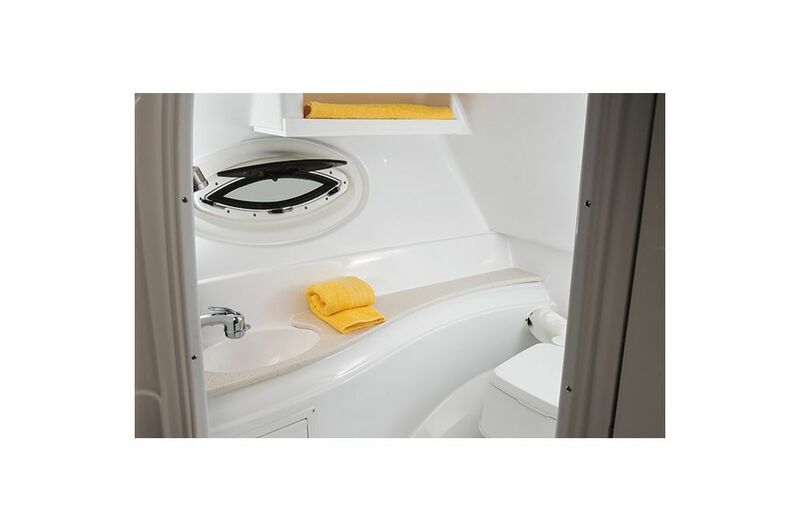 The 238 Bow Rider comes equipped with a sink, providing boaters the convenience to wash their hands and dishes. 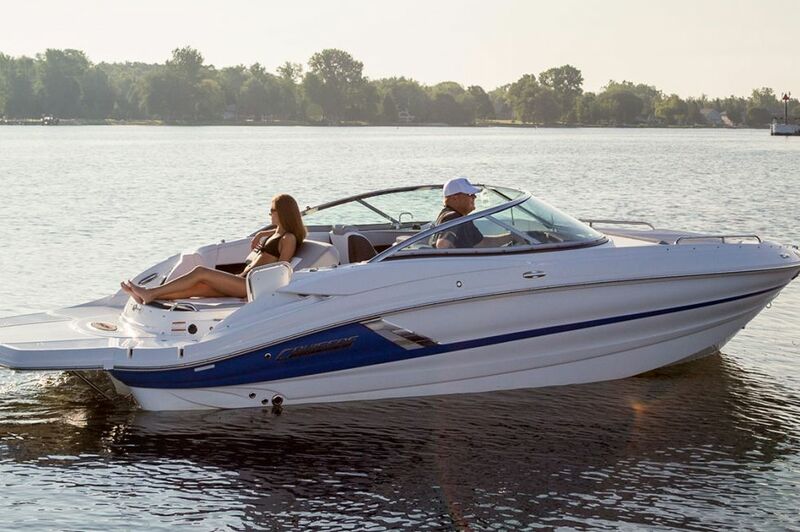 The 238 Bow Rider features a convertible sun pad for comfortably socializing with friends while soaking up the sunshine. 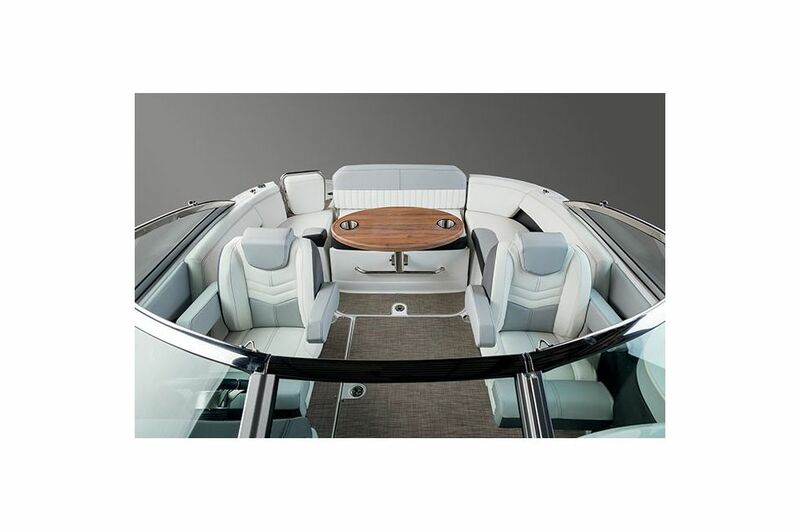 Conveniently store wakeboards and crank music with the 238 Bow Rider's custom built aluminum tower option. 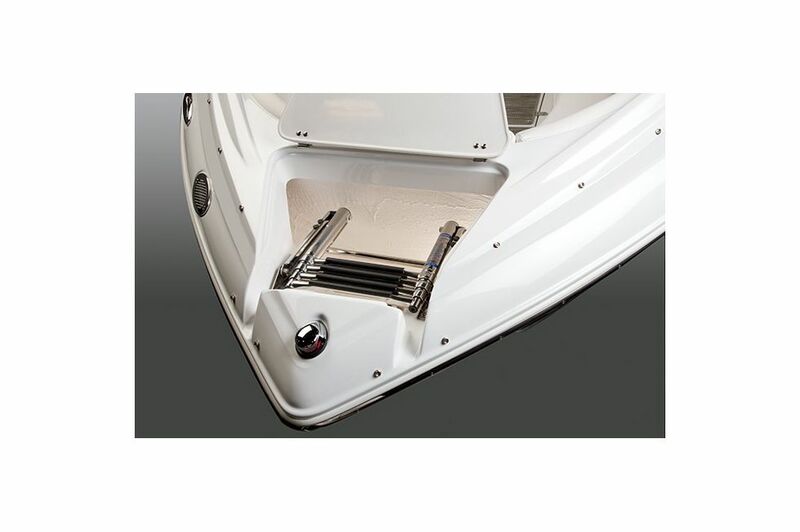 The 238 Bow Rider's stern ladder allows boaters to conveniently enter and exit the water after going for a swim or cruising the wakeboards. 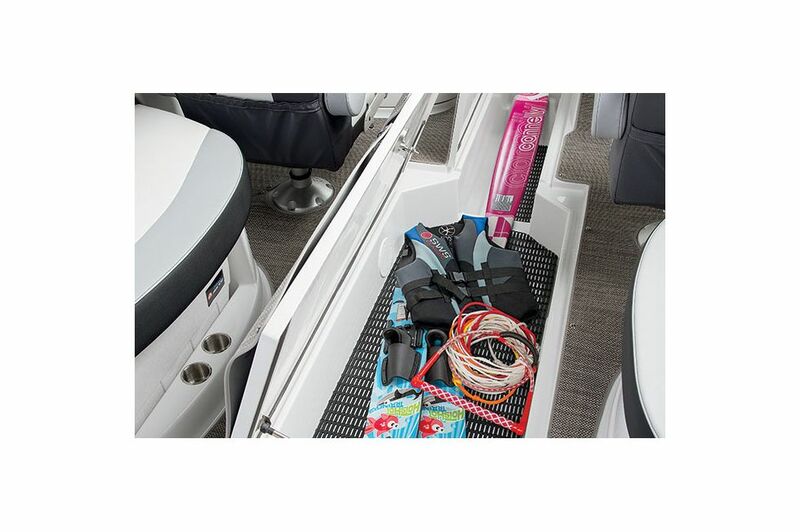 Featuring under-floor storage and ski lockers, the 238 Bow Rider keeps skis and personal belongings safe and clear from taking up space.